In an attempt to manage chronic stress, people try various techniques that help relax. However, it is not only relaxation that complementary practices, such as meditation, yoga exercises and chiropractic, can be useful for. Pain management, treatment of mental problems, and similar uses are becoming more widespread. Of these three, mindfulness is gaining ground faster than others. Here is why. Wellness practices are being adopted by more and more Americans. But the trend that is growing faster than the other two mentioned above is mindfulness, or meditation, as a recent CDC report showed. Used as a means of handling stress and even alleviating pain, it is now seen as a popular holistic approach and a part of complementary health care. Over a 5-year period, the number of meditation proponents has risen to 14.2%, up from 4.1% in 2012. Is it really that beneficial? Mindfulness meditation training can help manage stress, anxiety and other mental problems that usually refuse to go away on their own. In 2015, it was reported that mindfulness meditation can affect the amygdala, the area that plays an important role in responding to stress, in such a way that stress is reduced. Another way mindfulness can be beneficial is improving concentration. Now that we are snowed under so many things to do, the mind keeps on bouncing and cannot focus properly on a particular thing. Practicing mindfulness can improve your focus and help you detect distractions and avoid them much more effectively. There is not ample evidence supporting it yet, but a small study carried out by a team of University of Waterloo experts showed that mindfulness, even if practiced for as little as 10 minutes a day, can help a wandering mind in people with anxiety. Mindfulness promotes altruistic behavior. Interestingly, yoga does not – it even makes you more self-centered. Now, back to meditation. According to researchers at University of Wisconsin-Madison, compassion can be cultivated, and meditation can be a useful tool for doing it. 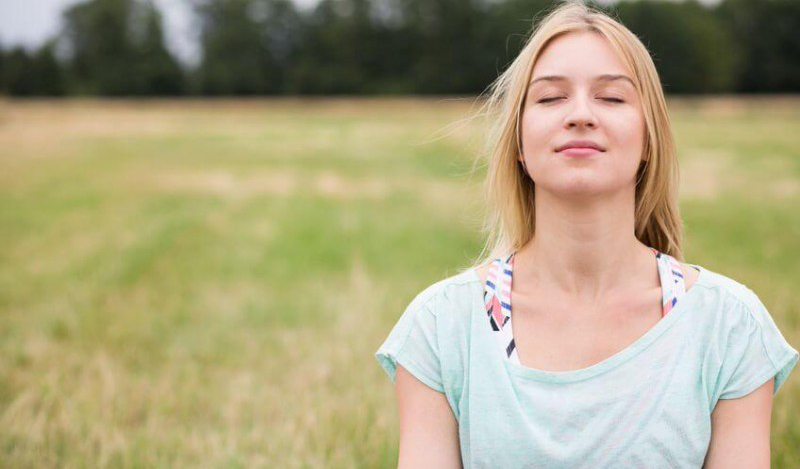 Not only does mindfulness benefit the mind, but it can also make your body healthier. For example, compared to muscle relaxation techniques, it can be more effective at lowering blood pressure (if only slightly). Another study suggested it can lower your heart rate and improve cardiovascular capacity as measured by means of a walking test. Cognitive scores in patients suffering from Alzheimer’s disease can also be improved with the help of meditation. There is also research suggesting that mindfulness can boost T-cell activity and increase the levels of T-cells and interleukin-8 and thus improve the immune function. Trapped in our hectic lifestyle, we often forget what we are actually doing here. Mindfulness can help us stop and think. Realize where you are, who you are and what surrounds you. Such awareness now has to be practiced and acquired as a skill, given how many unreal things (i.e. the digital world) have become part and parcel of our lives. In some countries, various forms of mindfulness are emerging. For instance, the Scandinavian hygge has spread to other regions, and niksen is all the rage in Europe – among those who are interested in escaping that very state of mind that is characterized by burnout and lack of focus. Mindfulness can affect both the body and the mind. However, it should be practiced carefully, so as not to take some destructive practices in disguise, which are sometimes promoted online, for mindfulness. Try to read about it at responsible resources, such as Harvard Medical School, for instance.